Winter with the Writers is a free opportunity hosted by the english department at Rollins College that allows students and other viewers to learn from and even receive feedback from award-winning authors. 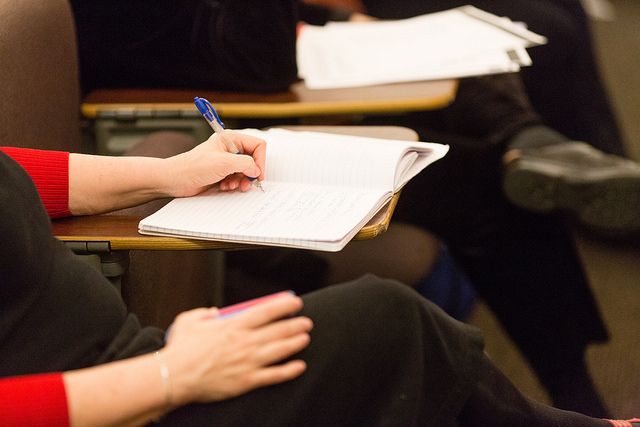 Occurring this month, students and other aspiring authors will receive guidance from world-renowned writers at the upcoming Winter with the Writers Literary Festival. The festival is intended to foster an environment of literary achievement on campus and within the local community. Throughout the month, several authors will be hosting master classes and live readings of their works. The live readings will include an onstage interview and a meet-and-greet signing. Viewers can learn from individuals who have mastered their craft. The festival began this year with a screening of the Oscar and Golden Globe nominated film, Mudbound, at the Enzian Theater in Maitland, FL on Jan. 31 at 6 p.m. The film is based off of Hillary Jordan’s award-winning novel of the same name. Since premiering at Sundance Film Festival, Mudbound received near-universal critical acclaim. The next day, Feb. 1, Jordan will be hosting a master class in the afternoon and a reading, signing and meet-and-greet in the evening. For the next few weeks, the rest of the authors will host these same events in a similar fashion. Award-winning Jamaican poet, Ishion Hutchinson, will do his master class and live reading a week after Jordan, on Feb. 8. Garth Greenwell, Luis Muñoz, Elliot Ackerman, and Lisa Ko will also be hosting their events in the following weeks. Muñoz and Greenwell, as well as Ko and Ackerman, will be doing joint readings. Muñoz and Greenwell are co-chairs of the 2018 Irving Bacheller Chair in Creative Writing at Rollins. They are on campus on Feb. 15. Ko and Ackerman were both 2017 National Book Awards finalists in fiction for their respective novels, The Leavers and Dark at the Crossing. In partnership with the National Book Awards, Rollins has been able to bring two National Book Awards finalists since 2016. Each of these authors will have their own master class along with their joint readings on Feb. 22. Aspiring writers at Rollins are looking forward to not only meeting these acclaimed writers, but also obtaining valuable advice from them and improving from their guidance. Katie Pearce ’19 emphasizes some of her favorite parts are __________________________. The events at Winter with the Writers will be free to participate in and open to the public. The master classes for each author will take place in the Suntrust Auditorium, which is located inside of Crummer Hall. The live readings will be held in the Bush auditorium on the same day of the Master class but at a later time.